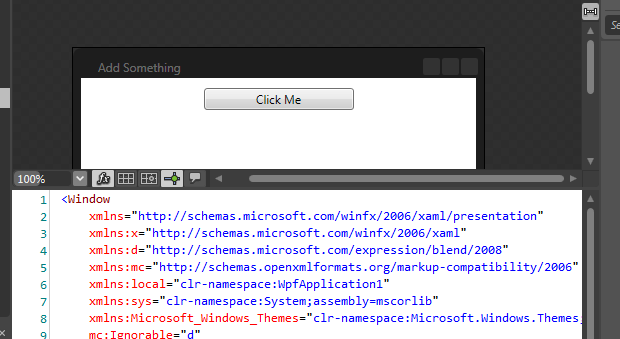 When you first add an element to your user interface in Blend using one of the buttons on the tools panel, the corresponding XAML element does not typically hand an end tag. For example, in the image below, we have a StackPanel element without an end tag (<StackPanel/>), rather than paired with an end tag (<StackPanel></StackPanel>). If you now add a child element to the StackPanel using one of the buttons on the tools panel, Blend will automatically add the required end tag. If you later delete the Button using the Objects and Timeline panel, removing all child elements from the StackPanel, the end tag is automatically removed. 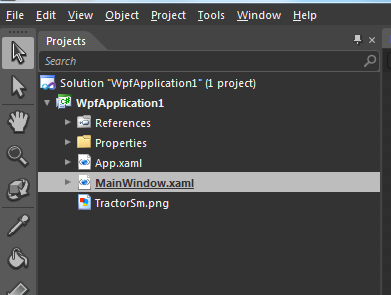 If you create a custom class, you can instantiate instances of that class from XAML by adding the object to a resource dictionary. 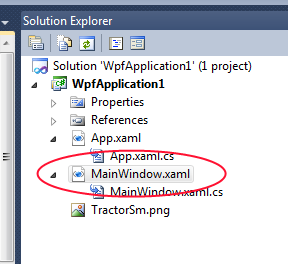 You might wonder whether your properties have to be WPF dependency properties in order to set their values from XAML. 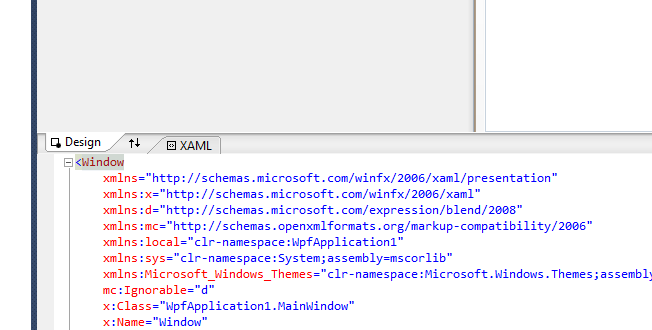 It turns out that the properties on the custom class do not have to be dependency properties in order to be set from XAML. They can be standard CLR properties.